Want to design a professional planner? With Photo Calendar Creator, it’s easy and fun! If you run your own business, you surely know what it takes to keep existing clients and attract new customers. One of the efficient ways of promoting your company is to design your own calendar with a distinctive corporate logo. Whether you make planners for a living, seek ways to advertise your services or want to thank your business partners for mutually beneficial collaboration, a calendar will do it for you! So how to create a glossy calendar design that will fully reflect your corporate style? 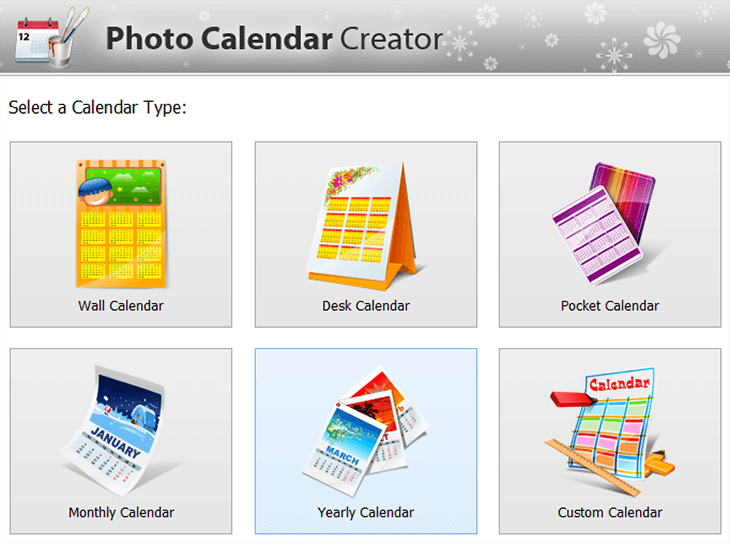 Photo Calendar Creator is professional photo calendar software that will assist you in this creative activity. Now get ready for a real design lesson where we will make a stunning calendar using the program. But before you start working on your brand-new planner, check out the recommendations below. Think on how your company’s calendars will be used, whether they will be kept in wallets or hung to the wall. This information is crucial for you to decide on their sizes and formats. Use your calendar as a marketing place. Insert your company’s logo or motto into the design, so your clients will always have it in front of their eyes. Design your own calendars using high-quality images. The pictures you use should be bright and clear. Print your calendars in printshops or using a professional printer. It’s vital for your company to make a good impression, so do not ruin your impeccable design with too thin or yellowish paper. How do you like the calendar example above? Want to make your own promo calendar like this? Then, download Photo Calendar Creator software and follow the steps below! The first step will be to choose the type of your calendar. Vote for a desk, a wall or a pocket calendar made for just one month or the whole year, and you will get an excellent promotional tool that will advertise your company in a competitive and entertaining way. Make a stack of pocket calendars to hand them to regular clients or design a calendar for a whole year to send it to your business partners as a token of respect. Creating a promo calendar is great for raising people’s awareness about your products or services, but your design should be impeccable. The photo calendar software offers rich opportunities for working with the color scheme and the background of your calendar. 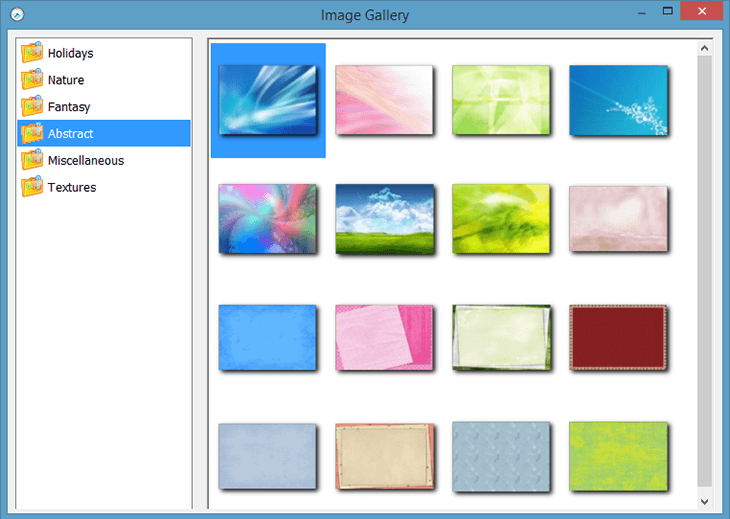 You can choose among different tones, gradients and background images from the built-in gallery. Just take into account the impact of color in marketing, so that your brand will be properly perceived. When you are picking pictures for your photo calendar design, simplicity is the key. Make sure that your logo is clearly seen and put it into the center. In this case, other images should highlight it and not obscure the crucial information like your contacts. If you decide to go for a collage, limit the number of photos to four. Otherwise, it will become hard to concentrate on your logo. The same goes to applying masks and frames. The calendar software enables you to crop photos and customize text captions without the help of additional apps. You can also play with such settings as rotation angle and transparency. In order to jazz up your images, adjust basic photo filters like brightness, contrast and saturation. Drop shadow or add outline to the text caption to make it look more captivating. 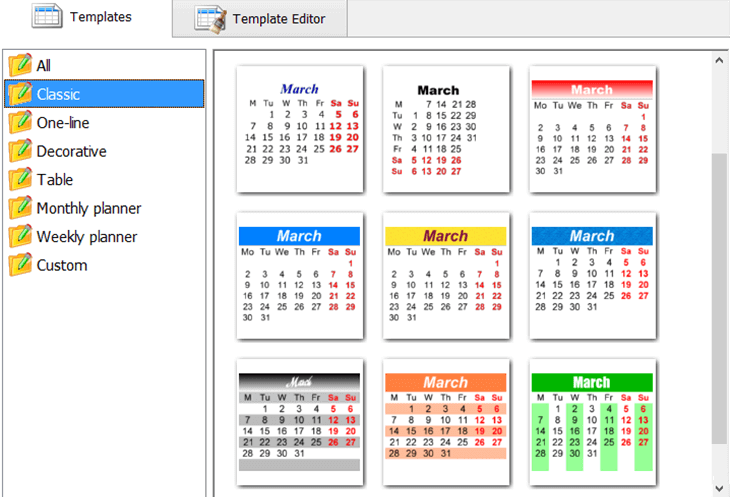 All the calendar templates are flexible and fully customizable. By clicking on the Month Style button, you can open the Template Editor and change the default calendar grid. Style month, weekday and weekend names, add corporate holidays or insert new images into single cells. With the Grid tool, you can easily align grids and other elements on your calendar page. Once you have designed your calendar, you have two options – to save your project as an image or print it in 300 to 600 dpi resolution. If you plan to send it to a printshop, save your calendar as a TIFF (CMYK) file. Note that it is better to choose the PDF format for saving multipage calendars. Die-hard Photoshop fans will be glad to know that calendar layers can be easily exported to their favorite app and further customized. With modern photo calendar software, you can create dozens of schedules and planners to tame your time. Make cost-effective use of promotional budget and produce a collection of printable calendars that will organize daily routine and adorn any interior. If you do not provide your customers with such designed treats, they will probably end up with your competitors’ calendars. Promote your business to both existing and prospective clients throughout the year with a range of professional quality calendars!